Sushil Modi was referring to the high crime rate in Bihar during RJD rule, prior Nitish Kumar's term as chief minister in 2005, which had attracted the tag of "jungle raj". Kolkata: Bihar Deputy Chief Minister Sushil Kumar Modi today said that the law and order situation in the state has "changed completely" after Nitish Kumar took over as chief minister in 2005. "Pre-2005, Bihar was known for negative things. In the last 12 years after Nitish Kumar became chief minister, law and order situation has changed completely", Sushil Modi said at the Infocom 2017 in Kolkata. Sushil Modi was referring to the high crime rate in Bihar during RJD rule which had attracted the tag of "jungle raj" and change of the scenario after 2005 when Mr Kumar first took over the rein of the state as head of JD(U), BJP coalition ministry. Barring for a brief period of less than a year when Mr Kumar had stepped down after party debacle in 2014 Parliamentary poll and nominated Jitan Ram Manjhi to takeover, Mr Kumar continues as Chief Minister of Bihar. After disintegration of Grand Alliance ministry of JD(U), RJD and Congress, Mr Kumar again joined hands with BJP in July, to head a new NDA-led government in Bihar. Sushil Modi, who became the deputy chief minister once again in the NDA coalition alliance, said "Bihar had been free from kidnapping". There are hardly any kidnapping cases in Bihar now, he said to drive home the point. Sushil Modi said the three prior conditions are needed for development, namely good roads, electricity, and law and order and these were prevailing in Bihar now. The deputy chief minister said the state government has initiated several measures for development of IT industry in Bihar. Three IT parks are coming up in Bihar, he said. 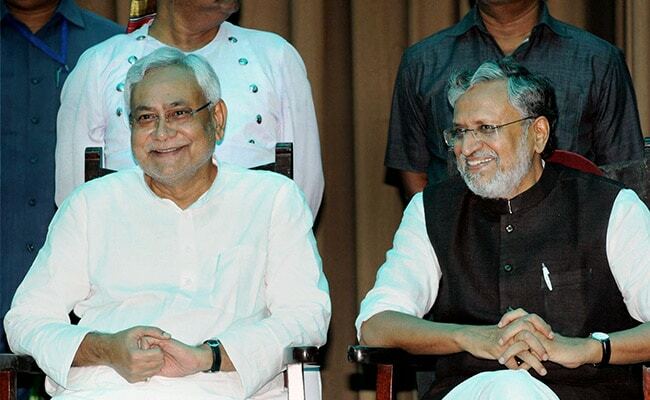 Sushil Modi holds the portfolio of Bihar Finance minister as well as Information Technology.